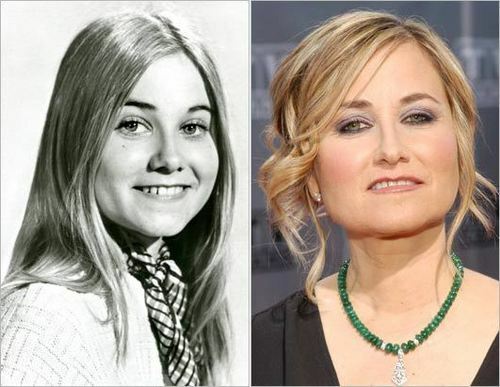 Marcia....Then and Now. Marcia (Maureen McCormick) as she appeared on the mostra and grown up.. Wallpaper and background images in the La famiglia Brady club tagged: the brady bunch maureen mccormick marcia brady. This La famiglia Brady photo contains ritratto, headshot, primo piano, and closeup.